Discourse Media sets precedent for a new kind of emerging media organization. Maclean’s reporter Nancy Macdonald needed help with a project — a deep dive into Indigenous incarceration rates in Canada. She approached Discourse Media, a startup from Vancouver, B.C., Canada. 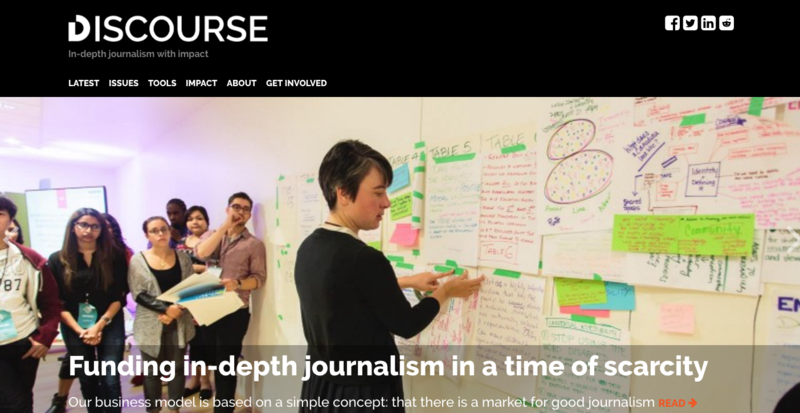 Discourse’s business is collaborative, solutions-based, public interest journalism. Their business model is the first of its kind in Canada. “It came together because I needed a bit of help with capacity. You know, these are difficult days in journalism,” said Macdonald. After nine months of investigation, their efforts culminated in a longform, data-rich digital piece and a cover story for print. Discourse’s ethos is similar to Pulitzer Prize-winning ProPublica — a non-profit in the United States that produces public interest investigative journalism. Unlike ProPublica, Discourse Media is in Canada, where there is no precedent for a foundation with a mandate to produce journalism, making it ineligible for charitable status and the ability to issue tax receipts. The slow death of journalism as we know it has been fodder for media analysis for the last decade. As advertising models are eaten away and legacy institutions decay, new business models are emerging through the cracks in the edifice. Discourse is one of those to emerge. Their focus on partnerships has created months-long investigative pieces that cash-strapped media organizations can no longer afford to do in-house. This has been especially valuable in covering marginalized communities hit hardest by shrinking newsroom coffers. Community impact was always a big priority. “I founded Discourse out of a dissatisfaction with the impact my work was having in that system,” said founder Erin Millar. Pre-Discourse, Millar was a freelancer and digital editor at Maclean’s. Every Discourse project lists funding partners at the bottom of its homepage. For example, ‘Towards Reconciliation’, an ongoing body of journalism about responding to the challenges of reconciliation, is funded by five partners. There was some time spent figuring out how to assign credit for the piece and signify each organization’s contribution to the final product. “Once it became clear that we could collaborate and make sure that readers knew Discourse was involved, it was fairly painless,” said Macdonald. Macdonald said companies like Discourse are attractive for bringing extra eyes to a project. “It was nice having people who knew the project even better than my editor did and I could bat ideas back and forth with them. You’re normally very much flying solo,” she said. Collaborative journalism snuck into the collective conscious after the Panama Papers leak of April 3, 2016. Ben DeJarnette is an associate editor at MediaShift, an American publication that writes about the disruption of media institutions by technology. This summer he ran a series on collaborative media. Despite the growing trend, Millar said she still has difficulty convincing some legacy organizations to wrap their heads around how to work with collaborators. “I can give you five examples of times that we’ve pitched a really promising collaboration to CBC — where we had someone within the organization that was championing it and it just got shot down. It’s a very risk-averse environment and nobody there is really empowered to make decisions, so it just kind of keeps getting kicked up the ladder until it eventually dies somewhere,” said Millar. She wishes Canada would hurry up. “Canadian journalists and Canadian journalism outlets are really close-minded to collaboration, compared to what we’re seeing happening outside,” she said. Discourse’s revenue comes from a number of products. Back in 2014, Discourse resembled a freelancer’s production company. The three co-founders, Erin Millar, Christine McLaren and Colleen Kimmett, were all experienced mid-career reporters. They started by pitching big projects to media outlets. They quickly realized organizations were not interested in paying the full cost to produce these big features. This is when they invited a new revenue stream — partnerships with foundations. 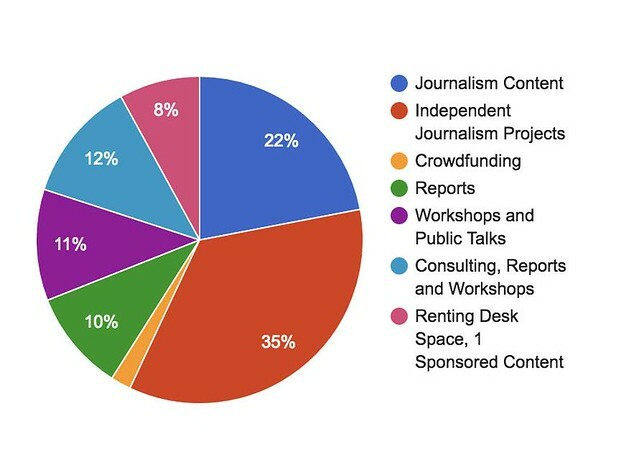 Millar’s data and deliverables approach to journalism is new in Canada, where more common are the subscription and crowdfunding models used by startup niche operations like Canadaland and the Halifax Examiner. With funding, Discourse does lengthy embeds that would be impossible for most media organizations. Discourse reporter Brielle Morgan just spent four months in the youth care system in Vancouver, getting to know the community while teaching media savvy to young adults and learning how they can work together. “That media is often characterized in this space as something you have to protect yourself from. That they’re story-hungry people who are out to exploit,” said Morgan. Morgan’s work and another Discourse project covering the LGBTQ community in the traditionally Mennonite town of Steinbeck, Manitoba, will serve as a pilot for consulting work with a National Film Board program called Challenge for Change. As a pilot, the project is fully funded. Discourse’s proposition is an attractive one for young journalists tired of the newsroom grind. Before Morgan started with Discourse in February, she worked at a few legacy media outlets. “It was this opportunity to be innovative and creative and ask critical questions about the standard way that we’re taught to do journalism in schools. I had never felt that call to be so curious and to revisit process the way that I was called to at Discourse,” said Morgan. From an audience’s perspective, the value proposition is clear: hear the voice of your community. “This challenge is arguably more acute in Canada given our vast geography and diverse population. The difference is that perspectives and stories from the hinterlands have never substantively informed the vast majority of our media, which is produced within kilometres of the 49th parallel,” she said. Even within urban environments, there are communities detached from mainstream media. Morgan recalls a youth worker from Vancouver who likened contacting the media to ‘pushing the nuclear button’ — a last resort. After connecting with him, Morgan ended up recording the stories of two women he knew in the system. Morgan echoes this. “Even if you’re relying on crowdfunding, you’re always beholden to somebody,” she said. Although Discourse has made some significant leaps and pivots in its first few years, it’s still waiting to become profitable. Millar said they’re getting close to nailing down that secret sauce of revenue in exchange for solutions journalism. 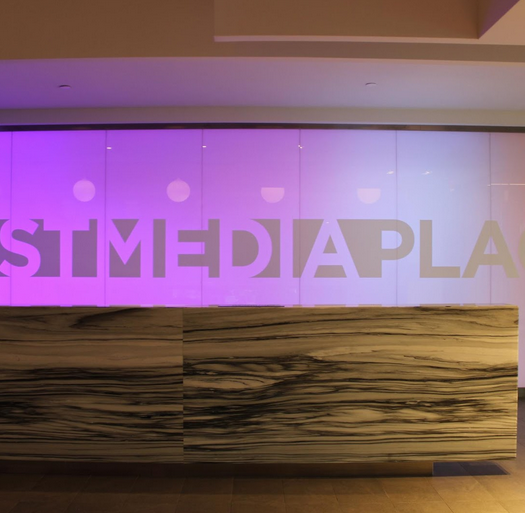 As the forerunner in the North American space for next-generation media organizations, everyone will have an eye on how they progress in the next few years. Discourse may set the precedent for future collaborative teams which will serve as an adjunct to traditional media — acting as the nation’s investigative unit in a post-legacy digital age of collaboration. Editor’s note, Jan. 18, 2017: A previous version of this article indicated that all Discourse content is available under a Creative Commons license. Most of their data interactives are available under Creative Commons license. We apologize for the error. Mel Hattie is an award-winning photographer and travel journalist based in Halifax. She's completing her MJ in New Ventures at the University of King's College. She appreciates a good cup of tea and extra legroom on long flights.